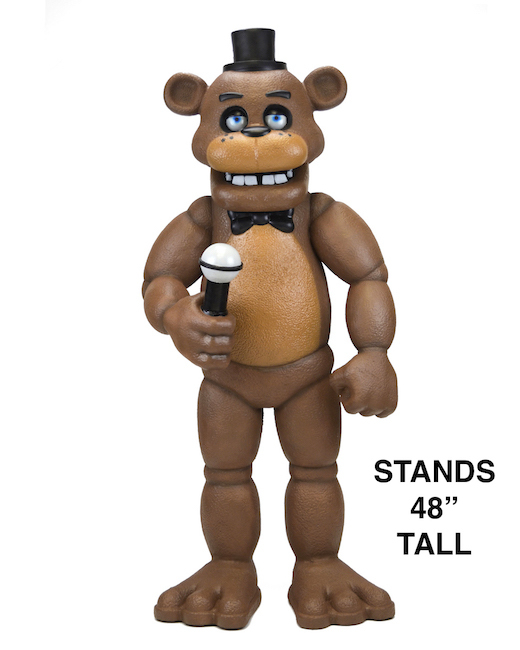 Standing 48 inches tall, Freddy is made of foam rubber and latex that’s carefully hand-painted for detail so realistic you’ll want to turn on all the lights in every room. Great for home collections or to add visual interest to retail stores. Very simple assembly required. NECA’s second 1/4 scale action figure from the 1990 Teenage Mutant Ninja Turtles movie is the loner Raphael. Of all the Turtles, he struggles the most with anger issues and frequently butts heads with Leonardo. Raphael stands 16.5” tall and features 30 points of articulation, including double elbow joints, to fully showcase his mastery of the martial arts. The figure is highly detailed and entirely accurate to the movie, and comes with sai accessories, a slice of pizza (of course) and interchangeable hands.